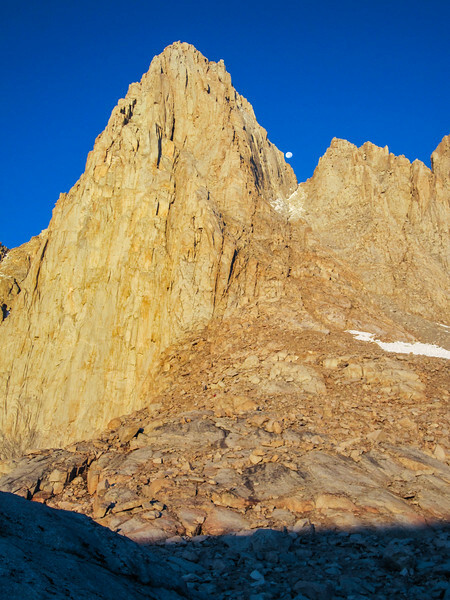 Dawn light warms 2000 feet of vertical granite, on the beautiful eastern face of mighty Mt. Whitney. The climbing route is right up to that notch, and then up and left around the corner.